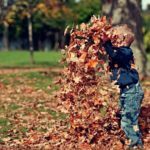 Don’t let the seasons tell you when it’s time to stop enjoying your garden. With no fumes and gentler, cleaner heat than direct flames, and instant plug-in setup – these patio heaters are a fantastic way to enjoy your outside space for longer. Shrug off dropping temperatures with these electric patio heaters, and continue relaxing with a good book, or cosying up with loved ones – well into the cooler evenings. 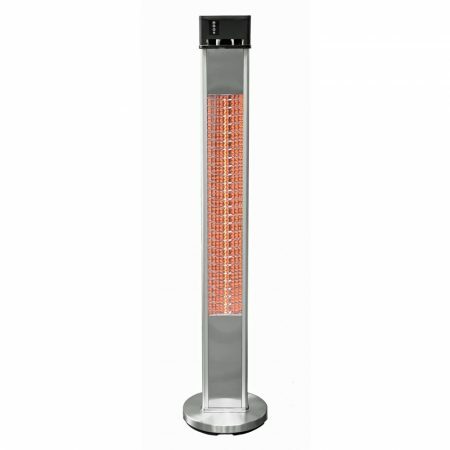 Standing / Ground Heaters – The most common, typically found in commercial spaces. Capable of providing plenty of heat right where you want it. 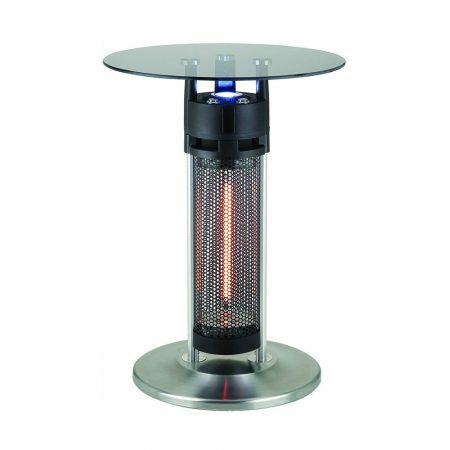 Tabletop Heaters – These small heaters can easily fit into any outdoors space. Ideal to have cosied up right next to where you’ll be relaxing. Mounted Heaters (Wall/Ceiling) – Saving on floor space, these can also be excellent solutions if you have inquisitive pets or kids. They can pack plenty of heating power, too. Disguised Heaters – Heaters built to double as other furniture – like tables or lamps. Perfect for enjoying the warmth, without even looking like you have a heater! This tabletop electric heater is one of the best on the market. At over 3 feet tall and packing plenty of heat, it’s ideal to keep you warm if you’re sitting next to it. While it’s capable of outdoor use – being IP certified waterproof – it’s fantastic for screened porches or other enclosed spaces. 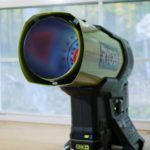 As not only does it provide heat, but it also acts as another light source, too. The only thing to watch out for is that it’s deceptively big. While the image looks like your average table lamp, it’s 3 feet tall. And the weighted base, which is great for stability, also adds to the overall bulk. However, neither of those are really a downside – just something to watch out for. If you’re looking for a tabletop electric heater, this is our top pick. Hands down. It’s got plenty of heat, it’s sturdy and durable, and the 3-foot height means it’s high enough heat you properly – not just your legs! All in all, it’s a fantastic product – which is as easy to use as it is to set up. Everything we could ask for in a good tabletop heater. Stellar quality available in a range of power levels. This range of heaters is the ultimate in quality. 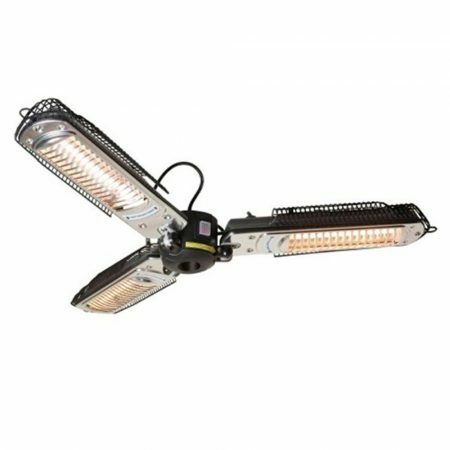 With models available ranging from 2000W to 6000W, there’s an option to cover any kind of space. They provide strong, gentle heat – and can be installed almost anywhere, with a ceiling bar and wall mounting brackets included. The build quality is second-to-none – finished with a corrosion-resistant coating to ensure a longer lifespan. The only downside is the price tag, but that’s expected with products like these. Sometimes, paying the extra price is worth it when the quality actually justifies the price. Plus, Bromic are known for really looking after their customers. There’s plenty of great stories of happy customers quickly being given replacement heaters if anything was wrong with the original. If budget isn’t much of an issue, this – for us – is the ultimate electric patio heater. The build quality is absolutely robust, and the wide range of heating powers means there’s an option to suit every size of space. A good wall or ceiling mounted heater is fantastic for saving space, and is especially efficient if you’ve got a semi-enclosed space with a low ceiling. These models are just quality all over – and while the price tag is high, it’s also justified. The tall and skinny frame is easy to fit in anywhere. This ‘Ener-G’ fan is fantastic for anyone who wants a full-height standing heater, but doesn’t have a lot of space. While it packs plenty of power (up to 1500W, or 5000BTU), there isn’t a fan within the heater. This means that it’s more suited to heating areas that it’s directly next to. As long as you can position it close to you, it gives off a fantastic amount of heat. All the great features that we look for in a good electric heater are present. A 5,000 hour bulb, certified for outdoor use, and of course no fumes and a low operating cost. If you purchase from Amazon, you can also take on up to 4 years of protection on the heater, giving you almost half a decade’s worth of peace of mind – for only around 10% extra cost. A great heater if you’re able to have it up close to you. 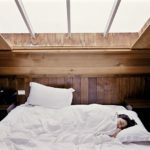 The tall and thin frame fits easily in tight spaces like in screen porches, and since it’s electric, there’s no fumes or fire hazard potential. If you want to use it in the garden, the rain and dust IP24 certifications mean you don’t have to worry about the weather – with up to 4 years of extra protection available for that extra peace of mind. This model is a perfect example of a heater that can also provide extra functionality. Acting as a glass table with a light underneath, it’s perfect for getting up close and personal with a laptop, book, or even sharing some food. The glass does get warm from the heat below, but it’s never ‘hot to the touch’ kind of warm. It’s also happy being positioned just about anywhere. The 6.5-foot power cord and rain/dust resistant exterior makes sure of that. The build quality is ruggedly solid, and up to 4 year protection is available when you buy it from Amazon. While it’s not on the cheap side, this heater is a fantastic product that can keep you warm while being almost unnoticeable. Get as cosy as you want without worrying about gas fumes or direct flames, and use the light-up tabletop to your advantage. We also love the solid build quality, the heater is incredibly sturdy. All in all, a great product if you can find the right home for it in your patio. Tucks away alongside the parasol. If you’re hosting friends or family, these heaters are perfect to seamlessly transition into enjoying the garden in the evening together. Nothing spells the end of a great day like donning a few light jumpers, huddling together under a heater like this, and just enjoying good company. While they’re individually not that powerful, the set of three – for a fantastic value price – combine to keep the area around a table nice and cosy. The 8-foot power cord and light 8.4lbs total weight means they’re a cinch to install – and super easy to maintain since they fold away with the parasol. No cover needed. Should you be lucky enough to have a garden parasol, these heater models are a great way to ensure you can continue to enjoy it sitting outdoors well into the cool evening. 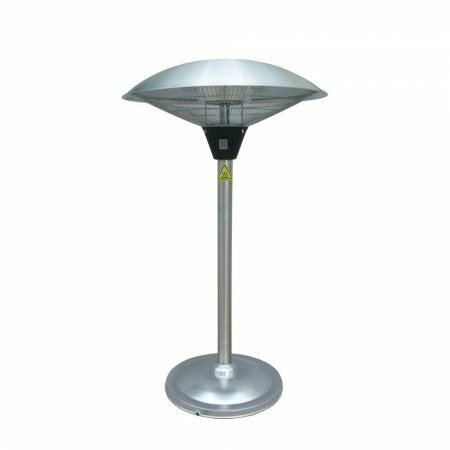 With all the benefits of standard electric patio heaters, coupled with the heat coming from directly above you and that they fold away with the parasol, these are a fantastic heating solution if you have your own parasol. 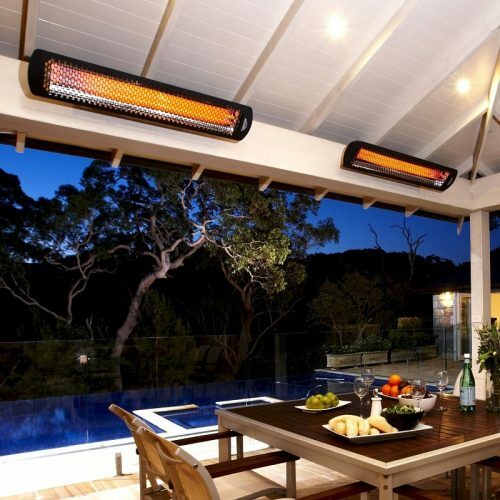 Electric patio heaters are a fantastic way to continue enjoying your outdoor space well into the cooler seasons. We hope that we’ve helped you find the best heater for you – but if not, there’s plenty of other options out there. 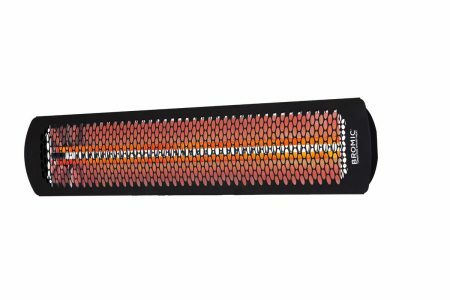 A good place to start for more inspiration is this bestseller list of outdoor heaters on Amazon. We’d love to hear any feedback you have – please drop us a comment below, or shoot us a message via the contact page. Thanks for reading!